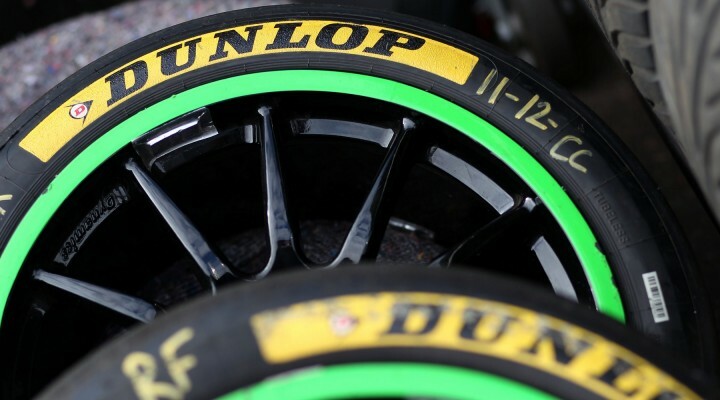 Title sponsor and official BTCC tyre supplier Dunlop has concluded a hugely successful group test at Snetterton today (16 July) with 25 drivers completing an incredible 1645 laps of the 2.97-mile layout. Motorbase Performance grabbed the headlines by topping the times late on as Mat Jackson produced the goods for the returning squad. High track temperatures, differing ballast and fuel levels, plus the myriad of tyre compounds available always make it difficult to read too much into the overall lap times, but Dunlop’s Mickey Butler was delighted with the progress made. Along with the three 2015 SportMaxx compounds being run there was a further selection being assessed for next season, with that development work being carried out by Colin Turkington, Andrew Jordan, Gordon Shedden and Andy Priaulx. Jackson’s pace-setting lap was recorded late on in the afternoon with the team likely running less weight than the chasing pack. The multiple race winner enjoyed a tow down both straights from Warren Scott’s Team BMR VW during his best lap, but Jackson admits the team is in good shape. Turkington’s benchmark had stood since the morning session – before Jackson’s late flyer relegated him to second – but the reigning champion was also quick in the afternoon order as he was among the drivers helping Dunlop evaluate potential 2016 tyre compounds. Andrew Jordan’s Triple Eight MG was quick throughout the day as he completed 120 laps of the Snetterton 300 layout – more than any other driver – but he saved his best until later in the day as he too clocked his best tour on an assessment compound. Whilst the ultimate lap times on all compounds were comparable it was of note that Turkington and Jordan’s impressive afternoon runs came during a race simulation. Matt Neal also set his best time on one of Dunlop’s evaluation tyres although the Honda driver ended up down in ninth place. Andy Priaulx was a top ten fixture throughout the seven-hour test with his West Surrey Racing BMW setting its best time on 2015 rubber. He was the only guy not to improve with the newer selection but his performance put him fifth, behind the VW of Jason Plato. Plato completed far fewer laps than his rivals with mechanical issues preventing him from carrying out an important late run. The double champion was happy with the car’s pace, however, and believes he’ll be in the mix when the series reconvenes in just over the two weeks time. Look out for our interview with Jason in the coming days. Aron Smith’s VW and Tom Ingram’s Toyota were next up in the timesheets with the latter setting fast times on prime tyres during both sessions. Shedden pipped his team-mate Neal to eighth, whilst Sam Tordoff rounded out the top ten. Other notable competitors included Nic Hamilton, Robb Holland, Simon Belcher and Tony Gilham. Hamilton continued his BTCC baptism by setting the 19th fastest time, whilst Robb Holland completed his first full day in the Handy Motorsport Toyota after it was confirmed he’d be driving the car for the next three race weekends. Belcher consoled himself before his three-event sabbatical by completing 14 laps in Ingram’s Speedworks Avensis and Gilham finally got his hands on his own Team HARD machine as he took over from Kieran Gallagher in the afternoon running. In total there was 1645 laps and nearly 5000 miles completed on Dunlop rubber by 25 drivers in what proved to be a hugely successful day. Click here for the final classification from today’s BTCC tyre test at Snetterton.